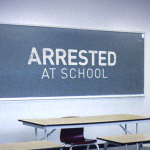 KNTV, the NBC O&O in San Francisco, received the Alfred I. duPont-Columbia University Award for its investigative series, Arrested at School. Arrested at School, a 2-year long investigation, revealed how schools across the country call police to deal with minority students with disabilities at disproportionately higher rates than their peers. As a result KNTV’s investigation, which was recognized with a George Foster Peabody award earlier in 2017, the San Jose Police Department and 34 Bay Area schools agreed to create formalized job descriptions for their campus officers. “Thanks to the dogged dedication of our investigative team, our ‘Arrested at School’ series led to major policy changes here at home and in schools nationwide,” said Stephanie Adrouny, KNTV’s news director. “The sweeping changes that resulted from our investigation reinforces our station’s mission of shining a light on questionable practices and holding the powerful accountable to make the Bay Area a better place to live for all,” said Stacy Owen, KNTV’s general manager.